I am in Saint Mary’s Cathedral in Limerick this afternoon, working with a film crew on a television production on the River Shannon and the Sea, and discussing our responsibilities as Christians for the waters or life. 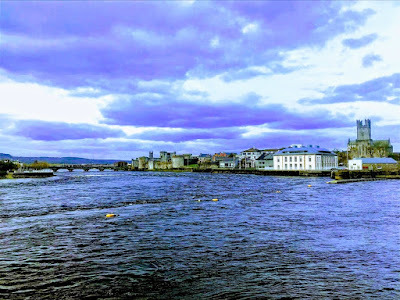 As we stand at the west door of the cathedral, looking out at the River Shannon as it flows out to the sea, I think of those in the past like Saint Brendan who set out from the mouth of the river in mission to the world out there. Like Adam and Eve, he left his Eden, watered by the Rivers, in partnership with God in creation, in trust, in hope. This fifth mark – to strive to safeguard the integrity of creation, and sustain and renew the life of the earth – is not some afterthought, added to the other four, to make up a neat and tidy list, to follow the fashions and trends of today, to be politically correct. Instead, it underpins the other four marks of mission, acts as a foundation on which they are built. Just as the first Mark of Mission is a summary of what all mission is about, because it is based on Christ’s own summary of his mission, and becomes the key statement about everything we do in mission. These have been the five marks of mission in the Anglican Communion for 35 years – since 1984. They were formalised by the Anglican Consultative Council and have come to express the Anglican Communion’s common commitment to, and understanding of, God’s holistic and integral mission. So, when we engage in caring for the creation, when we worry about climate change, we are engaged in mission, in the mission of Christ and the mission of the Church. More specifically, caring for our rivers and our waters is integral to the mission of the Church, and how we approach creation. The creation story in Genesis begins with the Spirit of God sweeping over the face of the waters (Genesis 1: 2), and all living life emerging from the waters (Genesis 1: 20-21). In the second creation account, a river flows out of Eden to water the garden, and divides into four branches (Genesis 2: 10-14). We often think of the story of Adam and Eve being sent out of the garden as a punishment. But some of the rabbis also saw it as a command to go out into the world, being sent out in God’s mission, to be God’s partners in God’s mission. (see Genesis 3: 23). We are told we are given dominion over creation. Dominion does not give absolute, capricious power. It is responsible, and those who have dominion are answerable to the true ruler. We are partners with God in creation, and that means we are sent out into the world as God’s partners in creation. And this God constantly looks at creation and constantly sees that this is good. Our dominion over the rivers and waters carries responsibilities. We have to answer for that. When God looks at the rivers and the seas, are they still good? How have we discharged our responsibilities? Throughout Christ’s ministry, it is worth noticing how water is not merely a setting but is part of his ministry. His ministry and mission begin with the parting of the waters at his Baptism by Saint John the Baptist. His first sign in Saint John’s Gospel is with water at the wedding in Cana. He heals by the waters of the Pool of Siloam, he calms the waters in the storms; when he dies, water flows from his side (John 19: 39). After the Resurrection, his first meal with the Disciples is by the waters of Tiberias (see John 21). 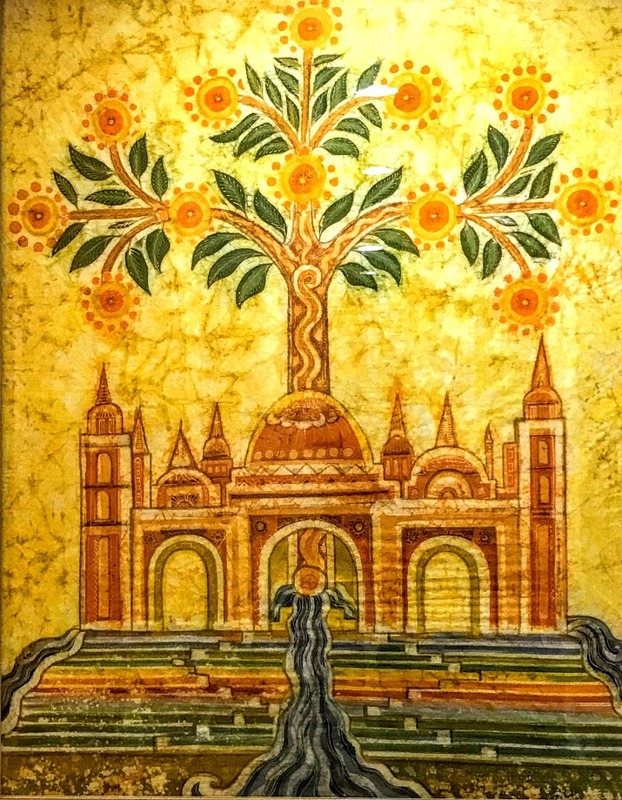 But if the waters of creation, the rivers of Eden, are at the beginning of the creation story, are at the beginning of our partnership in mission in the world, are at the heart of our care for creation in the world, then the same is true for the vision of the culmination of all God’s plans for creation. The Bible outlines this hope in the Book of Revelation, with the promise of the New Heaven and the Earth (see Revelation 21). In this vision, Saint John sees ‘the river of the water of life, bright as crystal, flowing from the throne of God and of the Lamb through the middle of the street of the city. 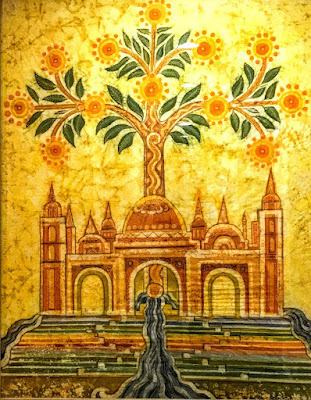 On either side of the river is the tree of life … and the leaves of the tree are for the healing of the nations … Let anyone who wishes take the water of life as a gift’ (John 22: 1-2).